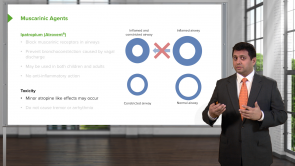 Asthma is a chronic airway hyperresponsiveness (with acute exacerbations), which is widespread all over the world in both children and adults. In most cases, it is in response to environmental stimuli. The main pathological changes are bronchospasm, edema and mucosal plugging, and the symptoms are wheezing, cough and breathlessness. 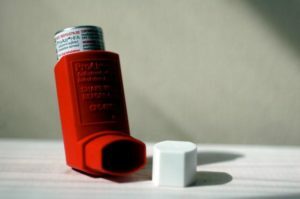 Asthma therapy is directed against bronchospasms or inhibition of inflammation in general or their mediators such as leukotrienes. The most common drugs used are inhaled β2 agonists and inhaled corticosteroids. I love how simple the concepts sound in these videos. I can watch these videos before my university lectures, without any other form of previewing, and feel adequately prepared. This review was extremely concise. Strictly what you need to know! Good Job! Literally shortened my 1hr lecture into 10 mins and covered everything I need! Good teacher and has a calm voice, makes him a good speaker.